A former employee hacked into computers at Tesla's Nevada battery factory, stole confidential information and combined it with falsehoods in leaks to the media, the electric car maker alleged in a federal lawsuit. 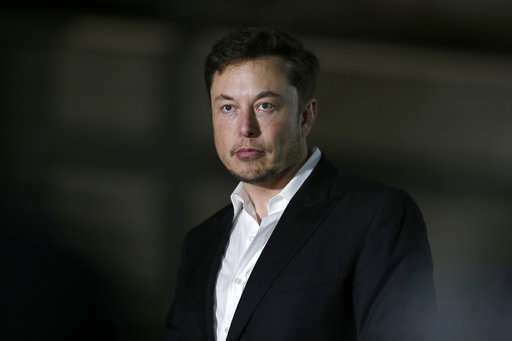 The suit was filed Wednesday, three days after CEO Elon Musk warned employees of sabotage from within the company. Martin Tripp of Sparks, Nevada, admitted to Tesla investigators that he wrote software that transferred several gigabytes of data outside the company, including dozens of photographs and a video, according to the lawsuit filed Wednesday. Hacking software from Tripp also was running on three computer systems of other employees "so that the data would be exported even after he left the company and so that those individuals would be falsely implicated," the lawsuit alleged. A man who answered a call Wednesday at a number believed to be Tripp's said he did not know Tripp. An email message was not answered. Tripp made false claims about the information he stole, including claims that Tesla used punctured battery cells in the Model 3 electric car, and claims about the amount and value of scrap material generated by Tesla in the manufacturing process, the lawsuit alleged. Some of the claims made it into media stories about the company, but media organizations are not identified in the lawsuit. The company also alleges that Tripp sent photographs and data to unspecified third parties including financial information and battery manufacturing details. Data was combined with false information given to the media, the lawsuit said. The company says Tesla's name was damaged and the company lost business and profits due to the disclosures. On Sunday night, Musk emailed employees telling them of "extensive and damaging sabotage" to the company's manufacturing operating system done under false user names. He wrote that the person's motivation was that he wanted a promotion that he did not receive. Musk wrote that there's a long list of organizations that "want Tesla to die," including Wall Street stock short-sellers and oil and gas companies. The company was investigating whether the former employee acted alone, Musk wrote. Tesla wants monetary damages and an order to prevent Tripp from obtaining or disclosing information. It also seeks a court order to inspect his computers, electronic storage devices, email accounts and external storage accounts. 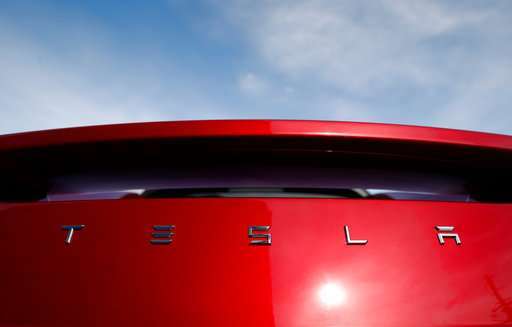 Tesla would not comment on the lawsuit Wednesday. It was unclear if the company reported the alleged thefts to law enforcement. Sparks police Officer Ken Gallop said there was no record of an investigation involving Martin Tripp. Storey County Sheriff Gerald Antinoro did not immediately respond to email and telephone messages from The Associated Press. Sandra Breault, spokeswoman for the FBI in Nevada, said she was checking into the matter. Tripp joined the company in October of 2017 at the battery factory as a process technician, and had electronically signed a non-disclosure agreement, the lawsuit said. Within a few months of his hiring, managers identified problems with his job performance, including at times being disruptive and combative with colleagues, according to the document. He was reassigned on May 17, 2018, and retaliated against the company by stealing the information, the lawsuit alleged.